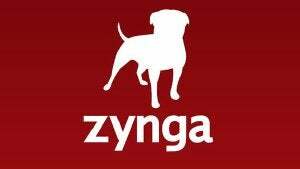 The Facebook games giant Zynga seems to have its eyes on a suite of sports titles now, registering several web sites that point to both a football game in the works and an umbrella brand called "Zynga Sports," reports domain registry watchdog Fusible. Happily, "SportsVille" was not among the raft of domain registrations, which are almost two years old, but coupled with recent personnel hires, it could mean Zynga's going to take a crack at a space where EA Sports has a strong foothold with FIFA, Madden, PGA Tour and Major League Baseball variants. Last year, Zynga hired away longtime Madden developer (and its former executive producer) Phil Frazier, and also Mark Turmell, the creator of NBA Jam and NFL Blitz. So they've got the in-house wherewithal to make sports video games, if that really is what they're working on. Ian Cummings, Madden's former creative director, also left for a Facebook games company started up by nearly a dozen EA Sports veterans, but they created a turn-based strategy game called Woodland Heroes instead of a sports title. The registrations are held by a Zynga law firm, Fusible notes, and they include ZyngaSports.com, as well as three variants of ZyngaFootball. There is a "Zynga Sports" page on Facebook but it can't be determined if Zynga's the one parking the name or some other squatter is. For those wondering, the well known exclusive license EA Sports has with the NFL was reached back in 2004, and doesn't cover browser-based or mobile game licenses, two segments that have emerged strongly since then. That's why you've seen things like QuickHit NFL (browser-based) and NFL Rivals for smartphones. Notably, however, neither title has a group license from the NFL Players Association to use real-world team rosters.